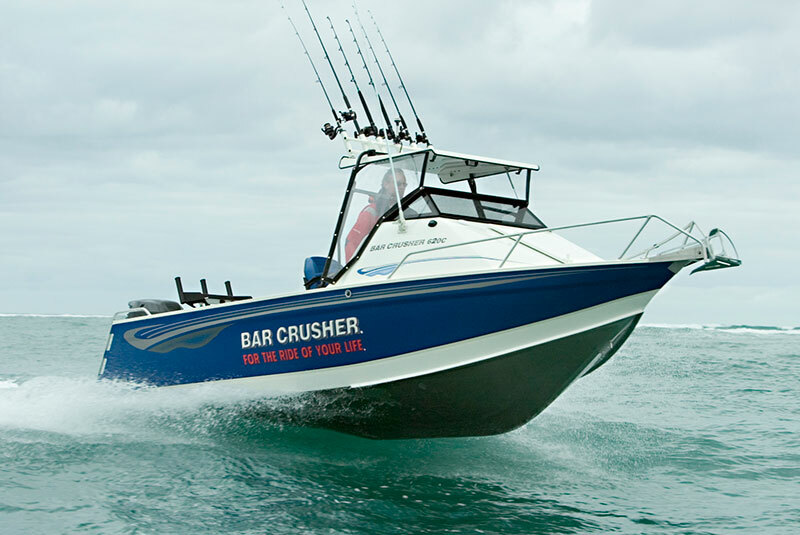 Bar Crusher’s new 620C – as tough as it gets! Measuring 6.80m LOA (waterline length 6.20m) with a 2.35m beam, the new cuddy cabin model features Bar Crusher’s unique Waveslicer™ non-pounding, deep-V hull, which slices through chop and performs brilliantly in a following sea, and the expertly-engineered Rigideck™ sub-floor system for maximum hull strength in all conditions. Of course, it wouldn’t be a Bar Crusher without the exclusive Quickflow™ water ballast technology. A cavity that runs the full length of the keel quickly fills with water when the boat is stationary, which lowers the chines into the water for greater stability, and drains in seconds as the boat moves forward to allow it to leap effortlessly onto the plane.